If you are looking to start a podcast, Neighborhood Stage Productions can help. From helping you hone your concept, to recommending the best format for the show, we help you handle all the details. Our experienced podcast production team can edit your recordings to give your podcast that professional feel. We can even post and publish your podcast for you as well. Just talk to us about your idea and we will help you get it launched. A podcast bringing together the voice over talent and audio producers to in an effort to raise the quality of auditions producers receive and increase the number of jobs voice over talent win! 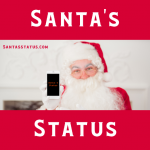 A daily update from Santa on what is going on at the North Pole in preparation for Christmas 2018. Written, voiced, and produced by Neighborhood Stage Productions, LLC. Bi-monthly satirical Disney news podcast. Each podcast contained several real stories related to Disney, but finished up with a satirical twist. Each episode also contained a comical “faux”mercial to keep things fun! Weekly podcast with musings of a long time web developer trying to play catch up with the current techniques. Involved several interviews with reps from leading tech companies. Weekly podcast produced for Stage Magazine highlighting theatre productions opening that week in the Philadelphia area. The podcast that launched the company! Your Neighborhood Stage was a weekly national podcast focussed on community theatre. Each show included interviews with representatives from theatre companies around the country, as well as Broadway news and information about new shows released for production. Series of podcasts produced to promote the American Association of Community Theatre‘s Bi-Annual National Festival. Each series included interviews will all competing theatre companies as well as news and information related to the event. Three times a week podcast covering current legal and business news hosted by two lawyers from Pasha Law PC, a San Diego, CA based law firm with offices in Texas and New York as well. Weekly podcast on the health and fitness mindset. Helped get it up and running and edited the first two dozen episodes. Two bi-weekly podcasts (alternating weeks) on financial planning from the Business Concepts Group, a financial planning firm in Melbourne, Australia.